No, the Louisiana Supreme Court does not require Louisiana lawyers to carry malpractice insurance or to disclose whether they do so. More than 12 years ago, the American Bar Association adopted a “Model Rule on Insurance Disclosure.” See ABA Model Rule on Insurance Disclosure (Aug. 10, 2004). The purpose of the model court rule was to provide potential clients with access to information in order to make “an informed decision about whether to hire a particular lawyer.” Id. This model rule requires each licensed lawyer to certify “whether the lawyer is currently covered by professional liability insurance,” and “whether the lawyer intends to maintain insurance during the period of time the lawyer is engaged in the private practice of law.” The rule exempts any lawyer employed as “a full-time government lawyer” or employed “by an organizational client.” Id. Since 2004, 24 states have adopted an insurance disclosure requirement by mandating disclosure either on bar-registration statements (18 states) or directly to potential clients (7 states); six states have rejected the ABA model rule (Arkansas, Connecticut, Florida, Kentucky, North Carolina, and Texas); and one state requires its lawyers to carry legal malpractice insurance (Oregon). See ABA Standing Committee on Client Protection, State Implementation of ABA Model Court Rule on Insurance Disclosure (updated Apr. 6, 2015). Although Louisiana lawyers are not required to carry malpractice insurance, it is readily available. The Louisiana State Bar Association’s endorsed insurance program is administered by Gilsbar (incidentally, the name “Gilsbar” is an acronym that stands for Group Insurance Louisiana State BAR). For more information on this program, visit the LSBA webite. 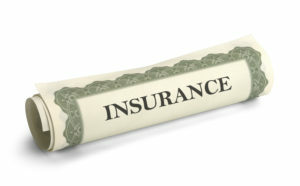 See LSBA-Endorsed Insurance.